Valerian is a natural herb that native to European and Asian continent. It has been used to cure a number of sleep related disorders. Valerian used as a perfume ingredient in the 16th century. Insomnia can be really difficult to deal with and Valerian aid seems to be a great method to cure this. It is helpful in healing anxiety. Let us read to know how effective is valerian for sleep. Does Valerian Really Work for Sleep? Using Valerian can be a good remedy to insomnia. 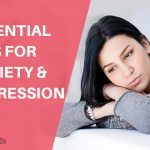 One of the theories say that sleeplessness or the trouble while occur due to anxiety. Valerian root is deemed as magical in sleeping terms as it relaxes the mind, cures anxiety and eventually help in a proper sleeping. It works as a sedative for our nervous system. A research on Valerian root found that it is not just a herb to cure sleep, but it is also useful in treating a wide range of stress and anxiety related problems. Valerian root is a good herb for the people who have sleeping instability due to either psychological reasons or others. Valerian tea has potential to relax your mind and give you a fine sleep. Take a tea pot and fill it with hot water. Fill infusion device with valerian roots. (In case you are steeping without a device, wait till the fourth point to add the valerian roots). Add a one cup or 8 Oz filtered water in the kettle to boil it. Now empty tea pot and add valerian root to container. Pour water from kettle over valerian root, and then cover. Then steep for about 12-15 minutes. Remove your infusion device from the tea pot. How it works: Valerian tea is strong sedative drink, which gives your a fine sleep, relieving your mind. Repetition time: Take it 2 hours before bed for the best results. Usually the effect starts to be shown within few days. Valerian and Melatonin are two of the most used and common things that people use to take a peaceful and relaxed sleep. Melatonin, unlike Valerian is a hormone that is naturally produced in body, however it is also synthesized in labs. People usually compare the two because of the similar effects. There is no as such recipe of the two, but they can certainly to taken as a combination to beat the sleepless nights and insomnia kind of conditions. You can take them tablets with water. One Capsule in one evening is advisable for a proper sleep. An alternative method of capsules can prevent body to be monotonous to one medicine. How it works: The alternate method doesn’t allow to create a monotony. Both Valerian and Melatonin works for a better sleep. Normal dosage: Take one tablet every evening, almost one hour before bed. 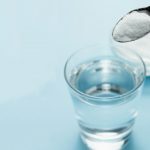 Tips: It is important to understand that the dosage of the two should not be taken at the same time. You can take Valerian one evening and Melatonin other. Along with Valerian, Ashwagandha is a very powerful and effective herb. It has been in use since ages in the Indian subcontinent. It contains multiple health benefits, it is often deemed as a magical herb. Ashwagandha is available in Powder and tablet forms. Ashwagandha and Valerian are quite effective in treating the sleep disorders. Add few leaves of Ashwagandha (if you have ashwagandha powder, take it with milk). How it works: Ashwagandha is a natural healer which removes the stress and anxiety, valerian induces sleep. Repetition time: Take it daily for several days. Tips: Ashwagandha is a powerful herb, so avoid the overdose. Kava is one of the plant or herb which is known to relieve anxiety and stress, helping in a relaxed sleep. There are ways of taking Kava and Valerian for sleep, but the one with water is the simplest one. Boil one cup water till it gets lukewarm. Add kava power and valerian powder. How it works: Kava is known to induce sleep and help in removing stress, so does the Valerian. Repetition time: Drink for few days to start the effect. Magnesium is a common and abundant mineral on the Planet. Magnesium is present in a number of foods. It is also a great method to have a relaxed and good sleep as it also cures anxiety and relaxes brain. Both Magnesium and Valerian root are available in capsules and can be taken together as a combination for great results. Take a magnesium capsule. And take 3 capsules of Valerian root capsules. Note: Both are advised to take with water. How it works: They both have properties to relieve anxiety and stress, that helps in a good sleep. Valerian and Passion flower is also a great approach towards having a fine sleep. Passion flower is used to cure a number of problems including Blood Pressure, inflammation insulin levels etc. 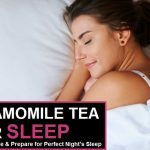 Here is the recipe of Valerian root and Passion flower for a better sleep. Place 1 teaspoon of passion flower and 1 teaspoon of Valerian root into the tea pot. Pour the water into the tea pot and let steep for 5-8 minutes. How it works: The tea is quite effective and efficient in giving a very nice sleep. Normal Dosage: Twice or thrice a day would be the best option to cure anxiety. Take one hour before bed if you are suffering from insomnia. Sleeping disorders has become a problem of many people today. Factors including anxiety, pain, and stress of life make sleep uncomfortable. A research showed a huge number of people suffer from sleep disorders. 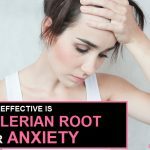 Valerian root seems to be a healthy and natural way to get it sorted. Valerian root is quite effective and relieve stress and anxiety to get you better sleep. Valerian aid seems to be a great method to cure insomnia. It is helpful in healing anxiety. 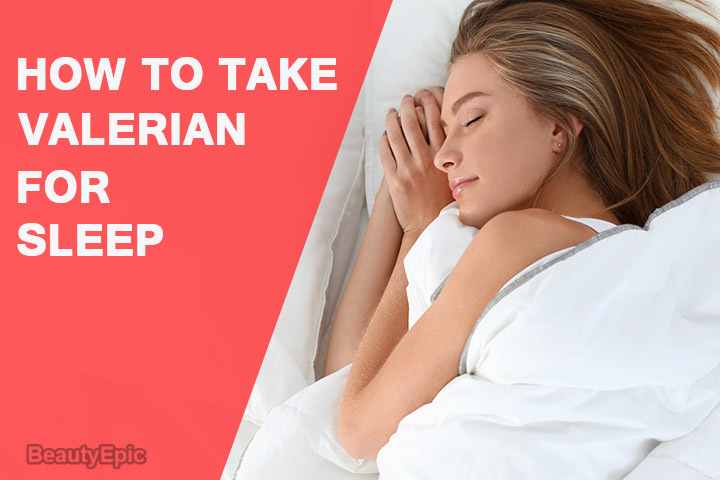 Let us read to know how effective is valerian for sleep.